World Congress Workshop Paper in English, Spanish. This „2014 World Congress Report“ is not a report on the delegate meetings and resolutions, nor is it a report on the events and workshops. It is a ‘how we did it’ report on the actual organising of the 14th Subud World Congress in Puebla. Though this may seem quite technical it is also very colourful and we hope enjoyable to read….it can be useful as a tool, but it can also be entertaining and an eye opener for members around to realise and appreciate the enormous work involved in setting up our world congresses. National Committees considering putting forward a proposal to host 2018 World Congress may find this list of requirements for venue, location and facilities for a World Congress helpful. Please contact the WSA Executive Team at wsa@subud.org for further information and if you have any questions. USA’s feedback Lucian Parshall, Subud USA’s outgoing Committee Councillor writes: ‘We felt it would be useful for the other delegates to know that we have reviewed their material and have a response’. WSA member country’s delegates will be asked to vote on these topics at World Congress and need to be fully briefed to avoid lengthy discussions during plenary sessions. 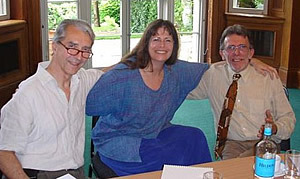 At the 2010 World Congress in New Zealand proposals concerning WSA Membership, Consensus and the WSA Mission statement were discussed. To take action on these resolutions, the World Subud Council (WSC) formed a sub-committee An Organization Work Group. National committees were asked to nominate members for an Advisory Group and discussions were facilitated and consulted on these topics. Organisation Work Group Background NOTE: The Organization Work Group was not asked to consider the WSA Mission Statement and is therefore providing results / recommendations on WSA Membership and Decision Making in Subud only. WSA Member Country Delegates will be asked to ratify the WSA Mission Statement at World Congress. Subud USA submitted a proposal through Zone 7 concerning archives and it is being put forward as a starting point for a workshop at the World Congress with the intention of ‘advancing the discussion’ on the need for a more permanent archive structure. Download the WSA Archives Discussion paper here: English, Spanish, French – coming soon! Recommendations for Zone Representatives and the World Subud Council English, Spanish. How to improve our World Congresses? Read this report compiled by Dave Hitchcock, Zone 7 Representative, with input gathered from across the globe along with another report gathered from members in South America (Spanish) (English).